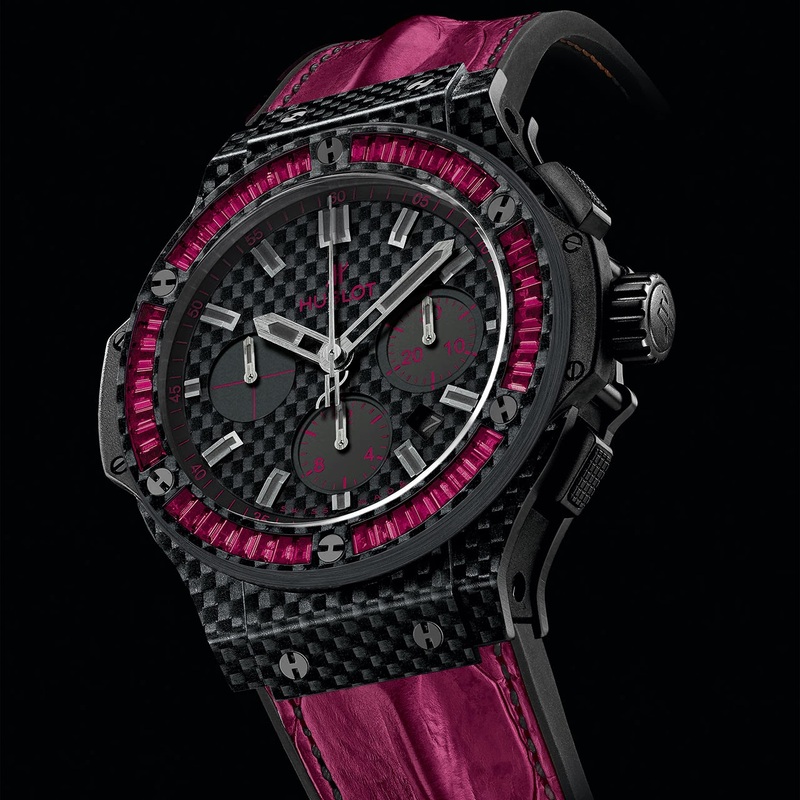 Diamonds, sapphires, rubies, tsavorites - this piece is a first, and the object of a patentapplication filed by Hublot. It is a fusion of carbon fibre and precious stones. 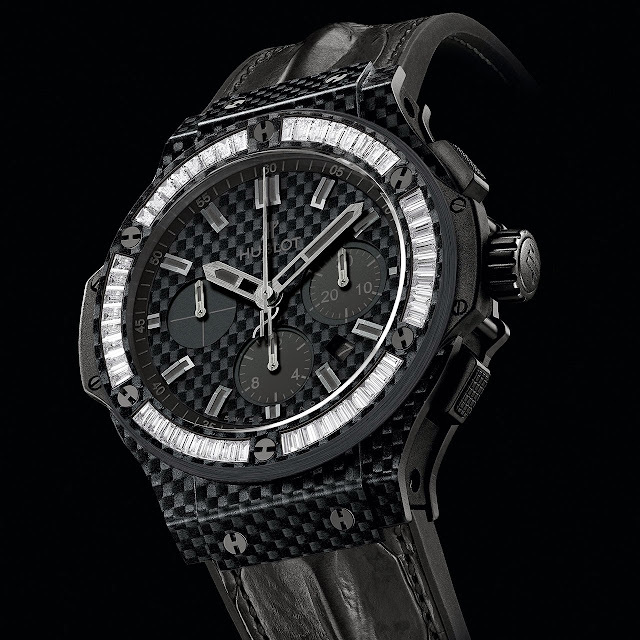 Hublot has taken the Full Carbon concept to its ultimate expression, by successfully setting baguette-cut precious stones in a component – the bezel – made from carbon fibre. 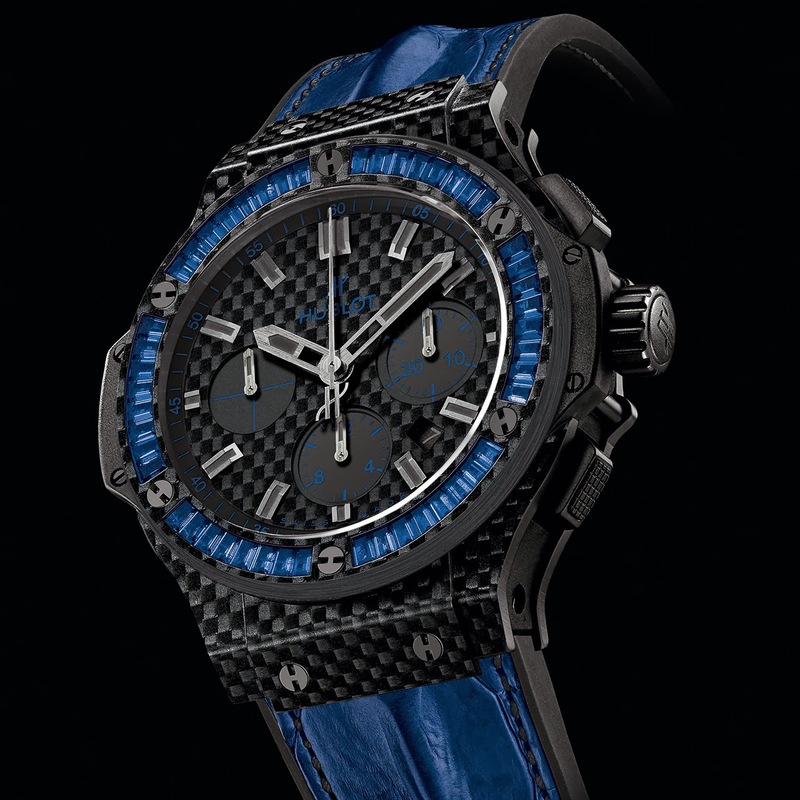 This exclusive process was developed using traditional craft techniques by the Hublot in-house carbon fibre components production unit. 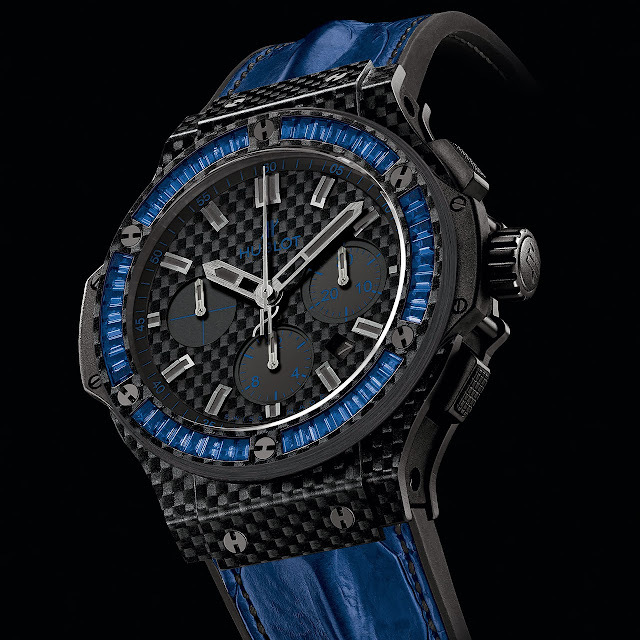 It has enabled this release of four 44 mm Big Bangs made from 100% carbon fibre, including the dial; sporty, lightweight and super-strong pieces featuring the scintillating elegance brought by the bezel, also made from carbon fibre, set with 48 baguette-cut precious stones – with a touch of colour also apparent in the indexes of the 3 counters and the Hublot logo. This is all rounded off by a tone-on-tone coloured Horn Back alligator strap with black stitching, offering supreme flexibility and comfort thanks to its natural black rubber inner surface. Finally, the HUB4100 movement is a self-winding chronograph with a completely black date (black PVD, ruthenium and black gold coating), in an extension of the All Black Carbon concept. It oscillates at a frequency of 4 Hz (28,800 Vib/h), and has 252 components. 42-hour power reserve. The watch is water resistant to 100 metres. 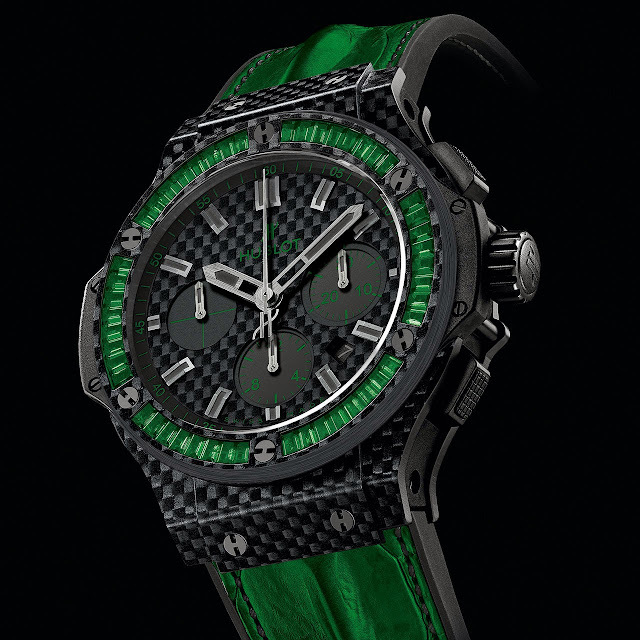 Bezel: Black carbon fibre 6 H-shaped black PVD titanium screws, countersunk, polished & locked Set with 48 baguette diamonds (total 2.80 carats), or 48 baguette rubies, or 48 baguette blue sapphires, or 48 baguette tsavorites.